Asia has become an important segment of the world market, making it essential that you be able to connect with your Asian customers and partners. Branded Bridge Line is one of the few international conference calling providers with such extensive reach to Asia. Just as our US and Canadian numbers are dedicated lines, so are our international lines. 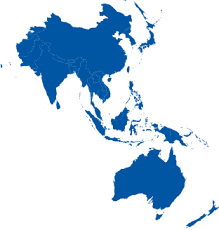 Our numbers in Asia will be dedicated to your company and not shared with others requiring a lengthy process for entering the call using PINs and Access codes. You get the same great branding on your Asian lines as you do with your US-based lines. Asia traditionally has been a difficult region to service and in the past has been pricey. More than half of the Asian countries we serve are included in our standard plans. Those not included in our standard plans sometimes carry an additional fee for the dedicated phone number or an additional fee for the per minute usage. At Branded Bridge Line, we pride ourselves in providing world-class, responsive customer service. To add an international line to your account log on to your account or contact us and we will be happy to help. We’re available by phone, email or live chat (lower right-hand corner).